Python is a powerful programming language that's easy to learn and fun to play with. But once you've gotten a handle on the basics, what do you do next? 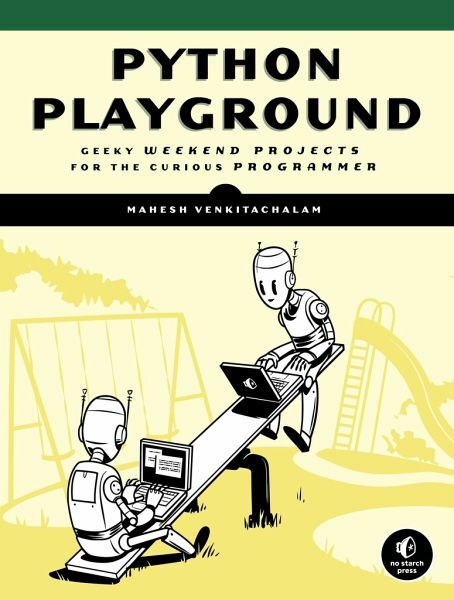 Python Playground is a collection of imaginative programming projects that will inspire you to use Python to make art and music, build simulations of real-world phenomena, and interact with hardware like the Arduino and Raspberry Pi. You'll learn to use common Python tools and libraries like numpy, matplotlib, and pygame to do things like: -Generate Spirograph-like patterns using parametric equations and the turtle module -Create music on your computer by simulating frequency overtones -Translate graphical images into ASCII art -Write an autostereogram program that produces 3D images hidden beneath random patterns -Make realistic animations with OpenGL shaders by exploring particle systems, transparency, and billboarding techniques -Construct 3D visualizations using data from CT and MRI scans -Build a laser show that responds to music by hooking up your computer to an Arduino Programming shouldn't be a chore. Have some solid, geeky fun with Python Playground. The projects in this book are compatible with both Python 2 and 3. Mahesh Venkitachalam is a software engineer with two decades of programming experience. He has nurtured a passion for technology since the eighth grade, which he channels into his popular electronics and programming blog, electronut.in. "If you want to become adept at doing clever things with Python, I doubt you'll find a better group of projects or more useful help for understanding how the language works."